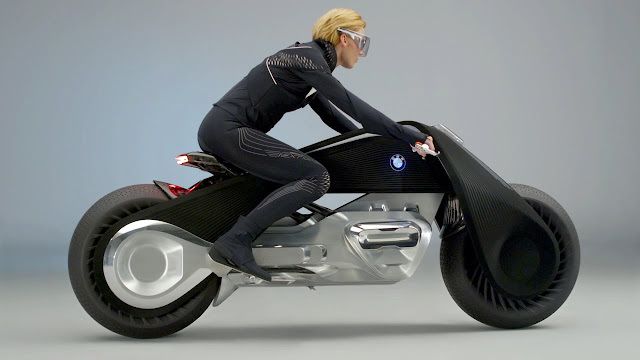 BMW known for making luxurious cars is now making a luxurious bike with new hi-tech design. 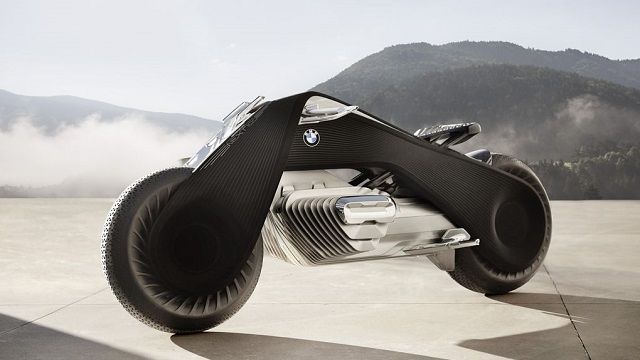 is It is an electric-powered concept motorcycle named "BMW Motorrad Vision Next 100" that was showcased at the “Iconic Impulses in Los Angeles. The body is made from a flexible carbon fiber shell offers zero carbon emissions and has a camera-based sensor technology called driver assistance which is said to make it almost impossible to crash. The self-balancing system keeps the bike upright both when standing or in motion.